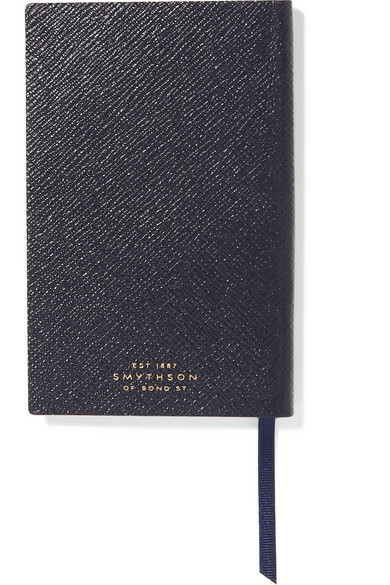 Unchanged since 1908, Smythson's 'Panama' notebooks are handcrafted in England from the finest textured-leather and described by the brand as a "secret social passport". 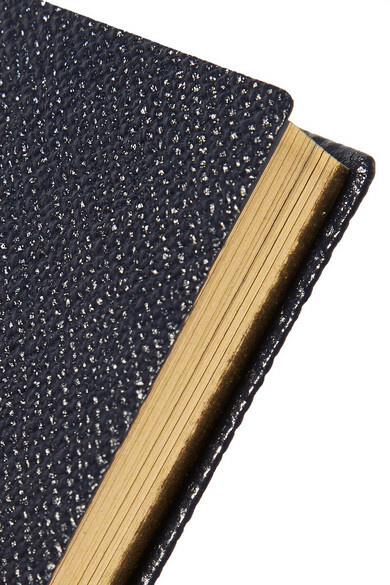 This version is stamped with the words 'Blah Blah Blah' in gold and filled with 128 leaves of gilt-edged, pale-blue featherweight paper. 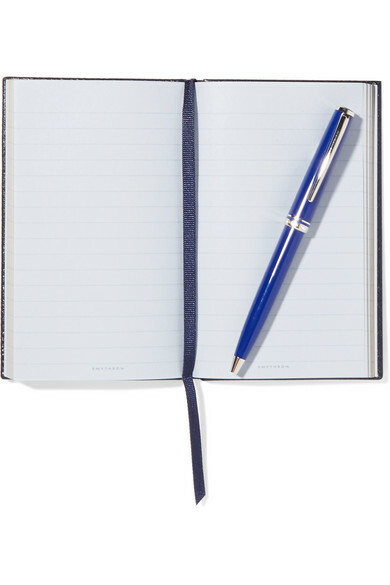 It's perfectly sized to slip into your bag, ready to jot down important notes and engagements.